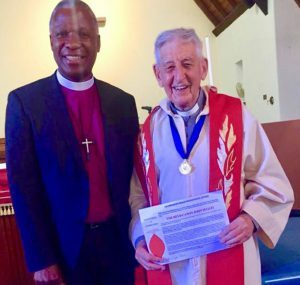 The Most Revd Michael Curry, Presiding Bishop of the Episcopal Church in the United States, will deliver the annual lecture in memory of Bishop David Beetge in Johannesburg on Sunday February 17, 2019. 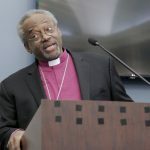 Bishop Curry is best known to the public for his sermon at the marriage of British royal family member Prince Harry to Meghan Markle. Limited numbers of early bird tickets – available until January 16 – cost R120 (R50 for students and those under 18). Other tickets bought in advance will cost R200. The proceeds of ticket sales will go to Kwasa College primary school, Daggafontein, Springs. Standard Bank Kwasa College A/c: 020866607 Branch code 012142. The election of a new Bishop of Mzimvubu has been delegated to the Synod of Bishops after an Elective Assembly of the Diocese was unable to elect at its meeting last week. 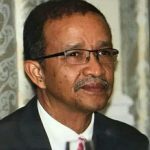 Notification of the outcome of the Elective Assembly will be tabled at the February 2019 session of the Synod, and the Electoral College is expected to be convened at the September 2019 session. We congratulate Mrs Maria van Staden, who was elected as the new Provincial President of the Mothers' Union at the MU's Provincial Council meeting on Friday 7 December 2018 in Port Elizabeth. Maria hails from the Diocese of Saldanha Bay in the Aqua Cluster which includes the Diocese of George, the Diocese of False Bay and the Diocese of Cape Town. We wish her well as she takes up this leadership position in 2019. Halala Maria!